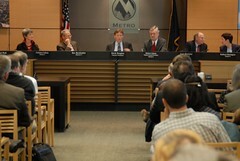 stop sign as TriMet GM Neil McFarlane looks on. 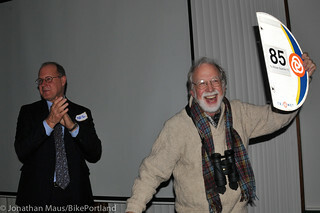 One of Portland’s most successful transportation activists was cheered into retirement Wednesday after 13 years in which he led Swan Island’s transformation into the city’s least car-dependent industrial park. path on Swan Island in 2010, is retiring. 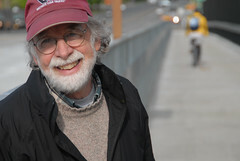 Lenny Anderson, one of the most outspoken and effective transportation advocates in Portland, officially announced his retirement this morning. The alignment for the North Portland Greenway Trail project being proposed by the Portland Parks & Recreation bureau is continuing to draw sharp criticism from activists and advocacy groups. PP&R is hosting an online comment form to get feedback, and — as the comments to our story yesterday make clear — many people are not impressed that several segments of the proposed alignment use heavily trafficked streets and conventional bike lanes. The idea of a “trail” — or what I prefer to call a path — is that people can expect a dedicated, non-motorized facility away form the dangers and stresses of automobiles. 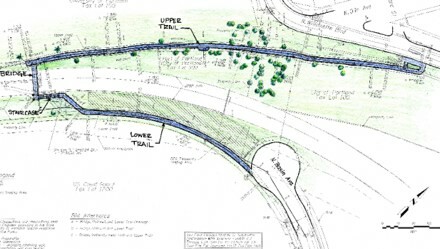 Drawing of the future Waud Bluff Trail, which could open as early as spring 2012. Red area shows location of ‘Going Green’ corridor. Note Willamette River in lower left and N. Interstate Ave (MAX line) on the right. path on the Going Street Bridge. Yesterday was a good day for Lenny Anderson. 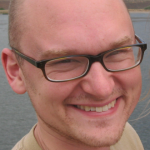 For a man well-known to local politicians and city employees as a persistently unsatisfied advocate, he was smiling and singing the Bureau of Transportation’s praises. After depaving a former parking lot in North Portland yesterday, the Towards Carfree Cities Conference marched on this morning at Portland State University. an important hearing on the CRC project. A packed crowd has assembled at Metro Headquarters in northeast Portland for a public hearing on the Columbia River Crossing project. 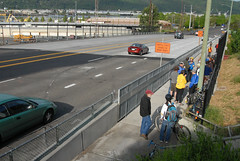 After a year of working in good faith with the staff of the Columbia River Crossing project, the Bicycle Transportation Alliance finds themselves at a crossroads. Despite the project’s contentious details, its potential ramifications for regional environmental impacts and massive funding implications, the BTA has remained on the sidelines of growing concerns about the project. Instead of opposing it, they have remained a supportive part of the massive planning effort that has been likened to “a train that no one wants to step in front of”. Last night in North Portland the community got an update on npGreenway’s vision for a new riverfront trail that will someday link the St. John’s Bridge to the Eastbank Esplanade. 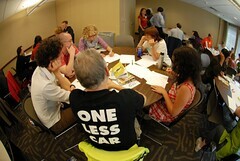 A group of of about 25 citizens, trail advocates, and neighborhood leaders came together to offer feedback, find out how to get involved with the effort, and get the latest scoop. npGreenway recently completed their “vision” map with a grant from the North Portland Trust Fund, and they have been active in workshops and planning with the City’s River Plan project.